Location. 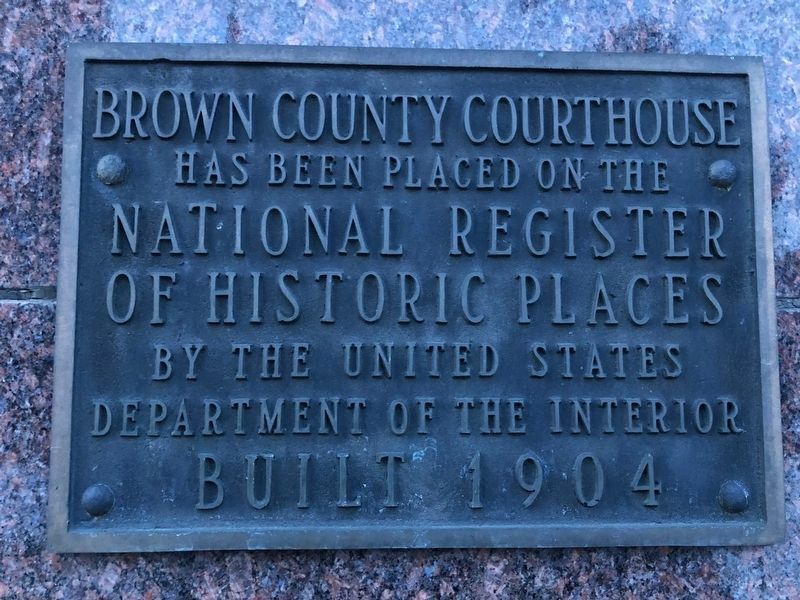 45° 27.862′ N, 98° 29.189′ W. Marker is in Aberdeen, South Dakota, in Brown County. Marker is at the intersection of 1st Ave. SE and Lincoln St. S., on the right when traveling west on 1st Ave. SE. Touch for map. Marker is at or near this postal address: 101 1st Ave SE, Aberdeen SD 57401, United States of America. Touch for directions. Other nearby markers. At least 8 other markers are within 2 miles of this marker, measured as the crow flies. GROW! Aberdeen, SD - Absolutely! Aberdeen (a few steps from this marker); The Great Northern Railroad Depot (within shouting distance of this marker); Dacotah Prairie Museum (about 300 feet away, measured in a direct line); First United Methodist Church (approx. 0.3 miles away); South Dakota Boy's State (approx. 0.9 miles away); Aberdeen, South Dakota Vietnam Veterans Memorial (approx. 0.9 miles away); Andrew Melgaard (approx. 1.3 miles away); F.W. Sallet and the Dakota Freie Presse (approx. 1.4 miles away). Touch for a list and map of all markers in Aberdeen. More. 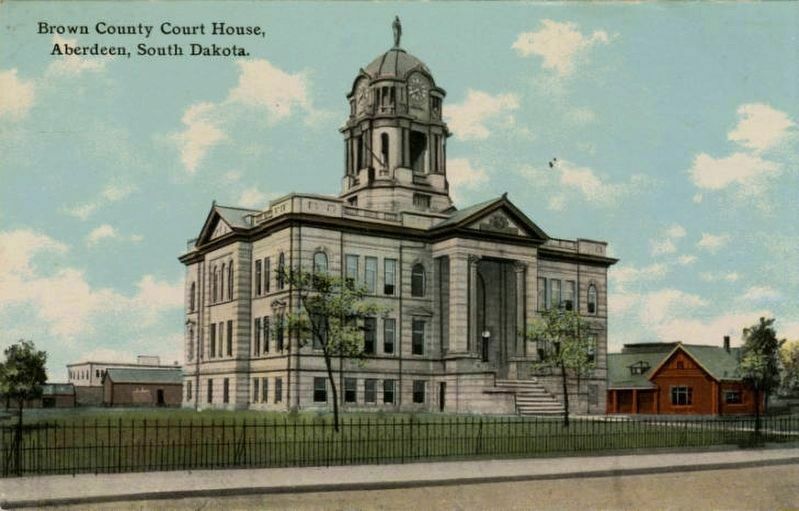 Search the internet for Brown County (South Dakota) Courthouse. Credits. This page was last revised on March 15, 2019. 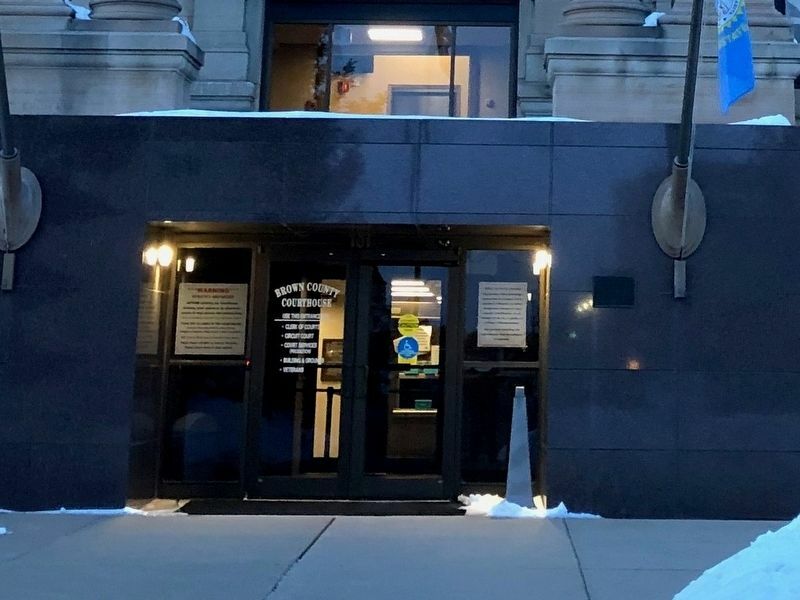 This page originally submitted on March 6, 2019, by Ruth VanSteenwyk of Aberdeen, South Dakota. This page has been viewed 42 times since then. 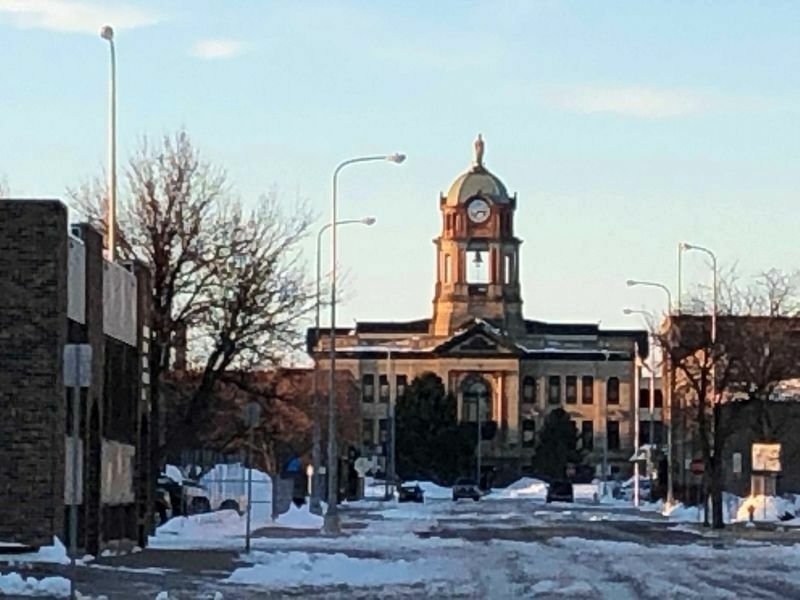 Photos: 1, 2, 3, 4. submitted on March 6, 2019, by Ruth VanSteenwyk of Aberdeen, South Dakota. 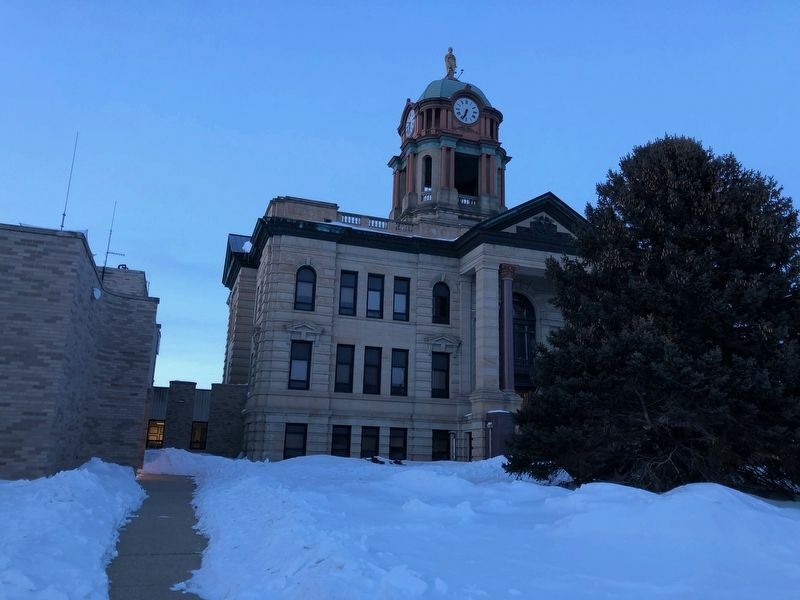 5. submitted on March 14, 2019, by Ruth VanSteenwyk of Aberdeen, South Dakota. • Andrew Ruppenstein was the editor who published this page.